A walking tour through Hove and finishing across the boundary into Brighton. 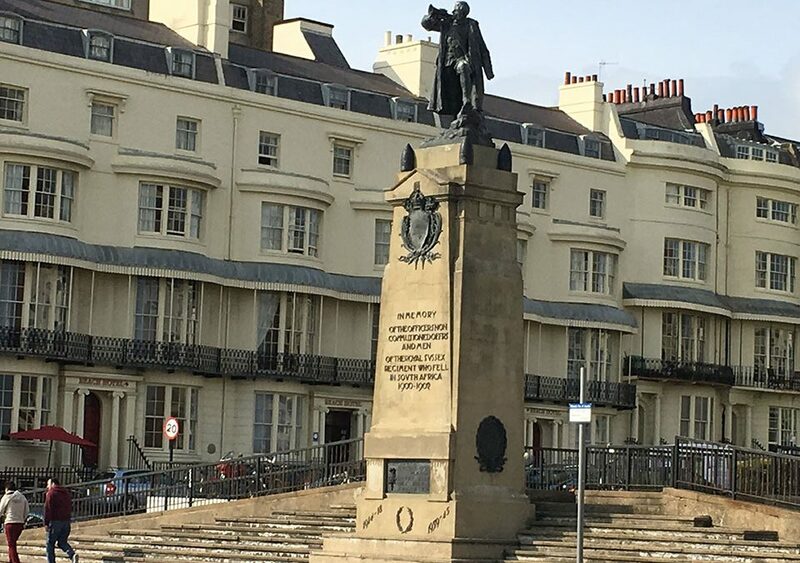 We hear both about the Brighton Blitz, inflicted by the Luftwaffe during WW2, and about the most audacious attack on British democracy since the gunpowder plot well over 300 years earlier; the Brighton Bombing. We reflect on the enormous contribution made by local residents during various conflicts or struggles. We visit sites of remembrance and hear about exceptional personal endeavours; their contemporary importance and impact on our lives today. The tour starts from Grand Avenue (east side), Hove, by the war memorial (BN3 2NJ). We will finish at The Grand Hotel, King’s Road, Brighton. (BN1 2FW). The tour lasts for 1 hour and 45 minutes (approximately). The level of walking involved is moderate; the route is slightly undulating and covers approximately 2.8kms.